Unity and Marks & Spencer's 'Spark Something Good' campaign impressed the judges with its community matchmaking approach that generated goodwill towards the retailer from both customers and its employees. At the heart of this much-praised campaign is a customer/community matchmaking initiative that paired volunteers with local projects, helping generate goodwill towards Marks & Spencer from customers and employees alike. ‘Spark Something Good’ was created to inspire the nation to help out in their communities. 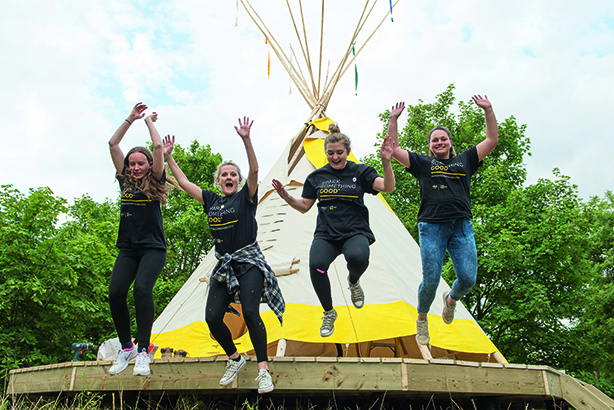 The goal was to mobilise a large number of volunteers, many of whom were company staff, to transform 24 community projects in 24 hours, changing tens of thousands of lives in the process. Projects included renovating a community farmyard; constructing a rooftop playground for inner-city children; creating a new dining room for a busy soup kitchen; building and planting an ‘edible garden’; and painting a mural for autistic children. The first project day was held in London in partnership with social-good platform Neighbourly.com; events in other cities took place on later dates. The initiative was a hit with staff and the public alike, with thousands volunteering locally. Post-launch research showed it also made people feel better about M&S and want to shop there more often.